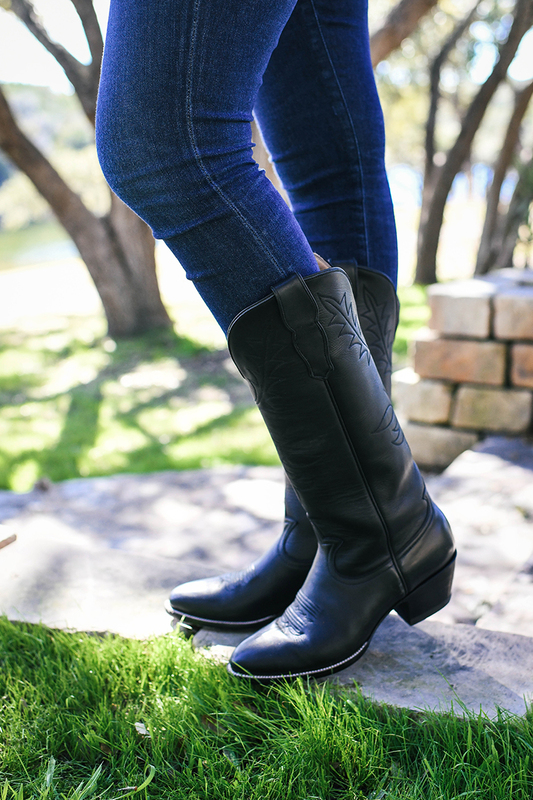 As a Texas girl, owning cowboy boots is somewhat of a requirement. Especially when going to ranches is a pretty regular year-round activity! Not only are they a good choice for the terrain (and potential snakes! ), but they’re also comfortable, cute and festive. 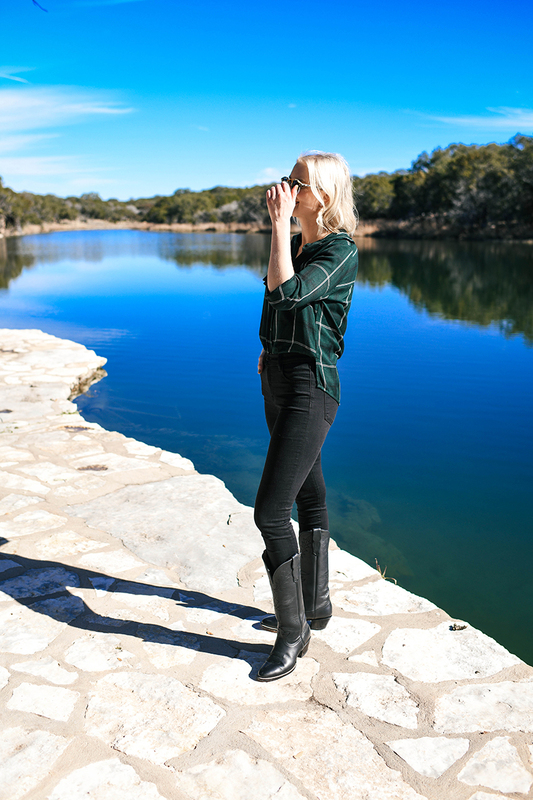 If you remember this post, I acquired my first new pair in several years from City Boots, a female-owned-and-run company that crafts stylish cowboy boots for everyday wear. The first style I got was The Western in the most beautiful cognac leather! 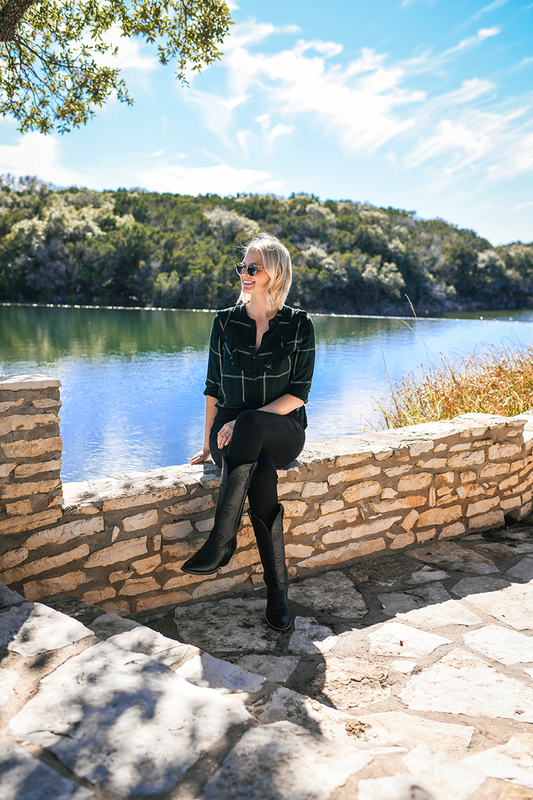 It features white stitching and a longer shaft, which I really love – I feel like many cowboy boots styles I’ve tried in the past don’t come up as high and aren’t as flattering. The Western has been so useful these last two years, and I figured it was time to get another pair in black so I could have a City Boot style for every occasion and outfit I’d need at the ranch! That’s when Lizzie introduced me to her newest style, The Preston! 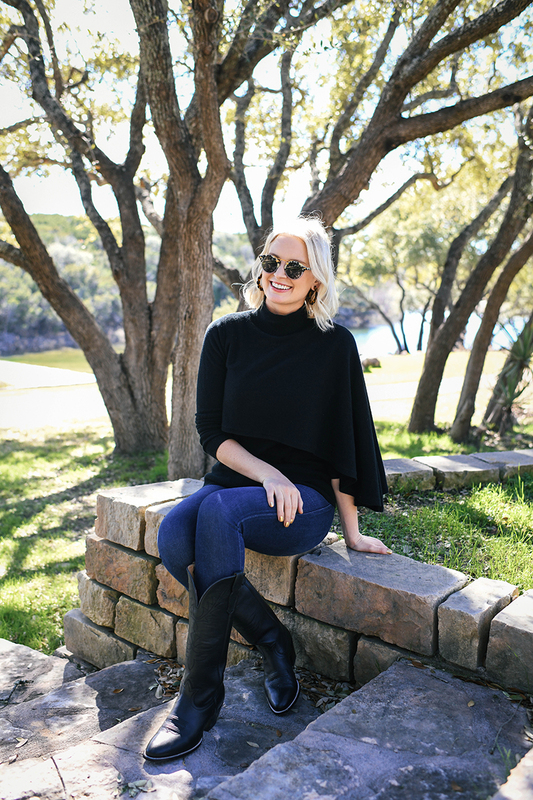 This gorgeous black boot launched on the site yesterday, but Lizzie was kind enough to drop this pair by before the holidays for me to try out. I wore them the entire weekend at the ranch over Christmas with my family!! 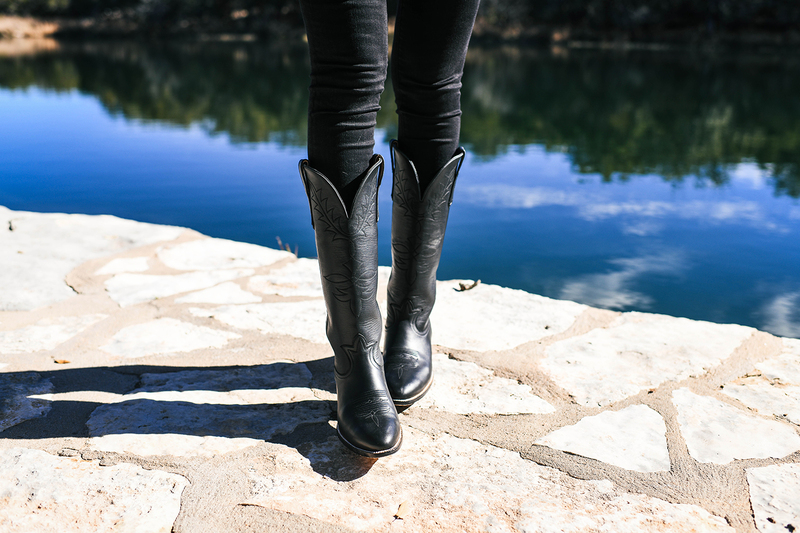 Here are two ways I wore the boots at the ranch, and you can see a third right here! Click here to discover and order The Preston for yourself! As far as sizing goes, I normally wear a 9 1/2 (or a 40) in regular shoes, and the 9 fits me perfectly in both The Western and The Preston City Boots. The comfort is unparalleled and they are so sleek + stylish! I absolutely love mine!